Recently Greenville Middle School Gigabots entered three robots into the Berkner VEX Starstruck High School Tournament at Berkner High School in Richardson. Despite being the only middle school team entered in the tournament, all three robots continued into the elimination rounds, as well as winning a judged award. Team 2148C, whose members are Eric Anderson, Jacob Linden, Sam Martin, Matthew McFarland, and David Voss, won the Judges Award, given to a team that the judges decide is deserving of special recognition. Teams 2148A, whose members are Eli DeLeon, Landon Rowland, Jovani Rodriguez, Brandon Stephens, and Elijah Wofford, and 2148C will next travel to Galveston to compete in the “Battle by the Beach” High School Tournament at Ball High School. 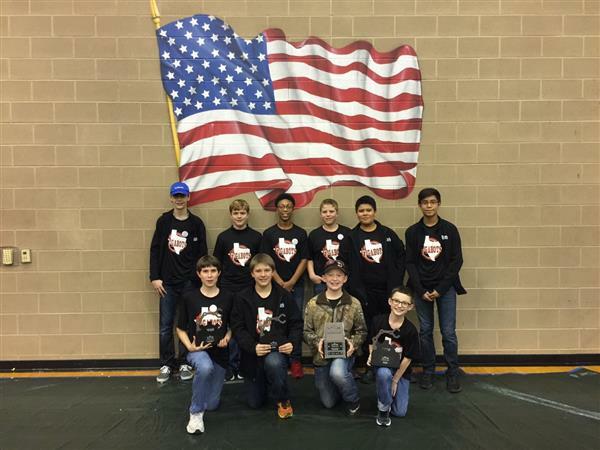 Coming off a previous tournament win in December at the Starstruck VEX Tournament at Rockwall Heath, team 2148A qualified to compete in the CREATE U.S. Open VEX Robotics Middle School Championship Tournament, held on April 6th-9th in Council Bluffs, IA. The following Saturday, Jan. 21, the Greenville Sixth Grade Center Cyborgs entered four robots in the Curtis Middle School VEX IQ Tournament at Curtis Middle School in Allen. Team 3148P, whose members are Vincent Calabrese, Saul Gonzalez, and Emma Brown, were the Robot Skills Champion, qualifying them for the CREATE U. S. Open VEX IQ Robotics Championship, held on April 4th-5th, in Council Bluffs, IA. Also on Saturday, Jan. 21, Greenville Middle School and the Greenville Sixth Grade Center VEX IQ teams entered twelve robots in the North Texas Crossover Tournament in Bonham. Five of the twelve teams continued onto the playoffs, with a SGC and GMS alliance earning second place. SGC team 3148M, whose members are Chennia Sanders and Kyle Pierce, partnered with GMS team 5148E, whose members are Joseph Grimes, Jared Rice, Weston Santana, and Aidan Schafft, in the playoffs. The alliance finished the tournament in second place. The Sixth Grade Center Cyborgs and Greenville Middle School Protobots will next compete in the Greenville Starstruck Middle School VEX IQ Tournament at the Sixth Grade Center on February 11. 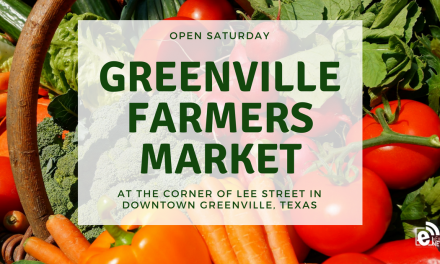 For additional information about the Greenville Middle School VEX Robotics Program, Greenville Middle Scholl and Sixth Grade Center VEX IQ Programs mail Johnny Tharp, Director of Robotics (Grades 1-8) at tharpjr@greenvilleisd.com or call (903) 408-4432.